What about weight? 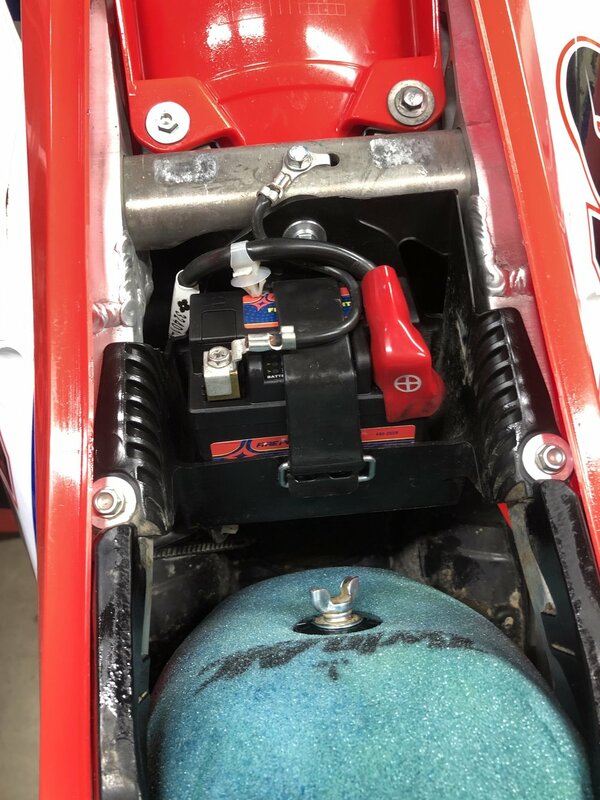 The stock OEM Honda CRF450R battery weighs in at 1.06 pounds and the Fire Power battery weighed in at 0.95 pounds. Cutting some weight up high on any dirt bike is essential and will improve the handling character, especially leaning into corners. is it enough weight for you guys to feel on the track? Probably not, but it doesn't hurt to lose weight and add some cranking power on a four-stroke at any time.